The MBS series balances offer a quality balance at an affordable price. All models come standard with robust plastic housing, batteries, and bi-directional RS-232 interface allowing communication to a PC. Display: Front facing 6 1/2 digits, 19 mm / 0.75" high 7-segment LCD display with blue backlit. 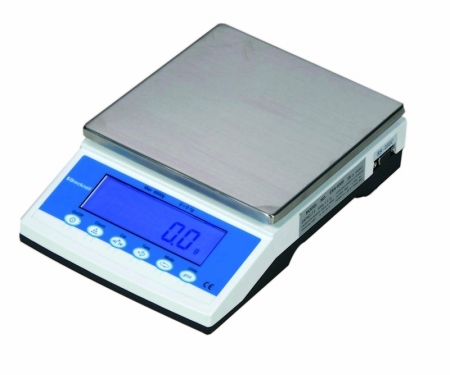 Shows multiple weighing units plus Cal and low battery indicator.